over the years, to add that "touch of class" to your Ford Anglia. Ford Anglia's Dashboard needed either brightening up or padding. 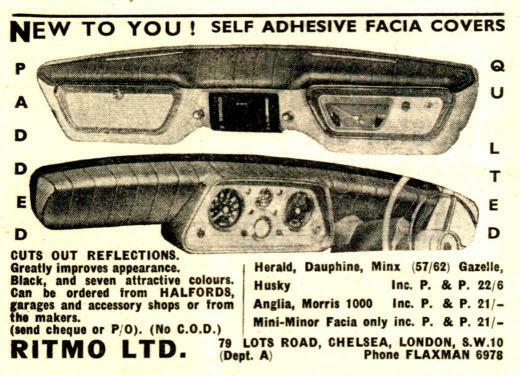 Ritmo Ltd decided that the Anglia dash needed some stick on padding to help brighten up the interior of your car with a stick on "facia cover". 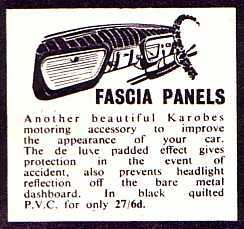 Karobes also produced a "black quilted P.V.C" dashboard cover. 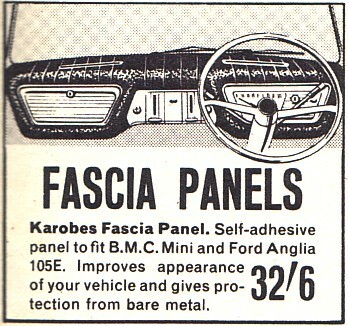 Karobes were still advertising their Fascia Panel in 1968, but the price had risen. A slightly sifferent take on the dashboard theme. This one covered the whole dash with a glass fibre cover that you could then add extra Cortina 1600E dials too. 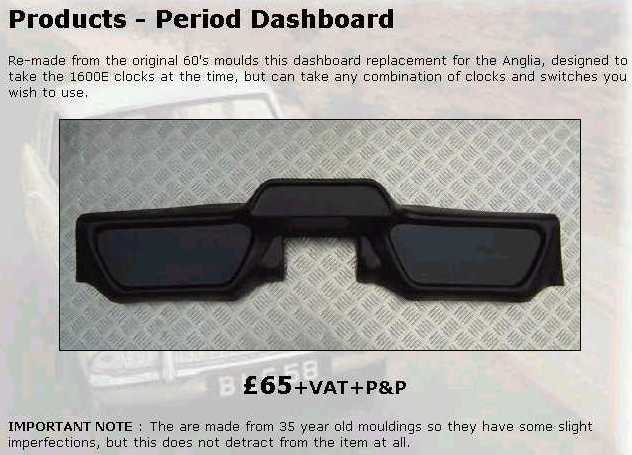 The Company 105speed.com have reproduced the above dash.